Robin is Batman’s right hand mad. Fisher-Price Imaginext DC Super Friends Robin is always ready to help! 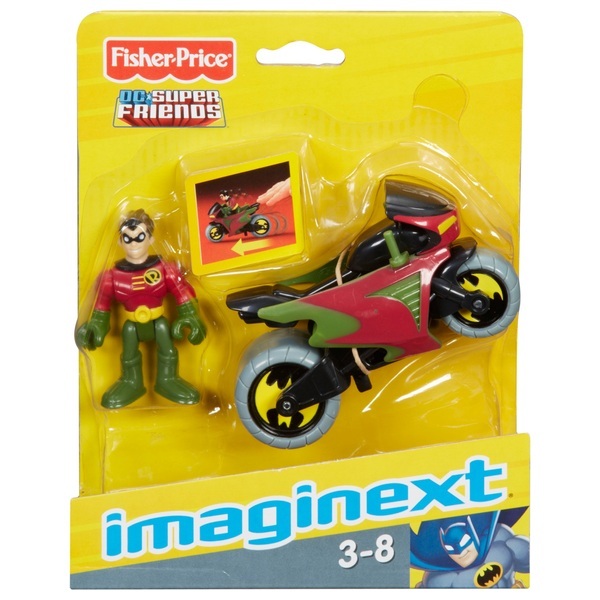 On his speedy Fisher-Price Imaginext cycle, he’s the perfect sidekick to help young superheroes round up Gotham City crooks as they roll from one crime-fighting adventure to the next!